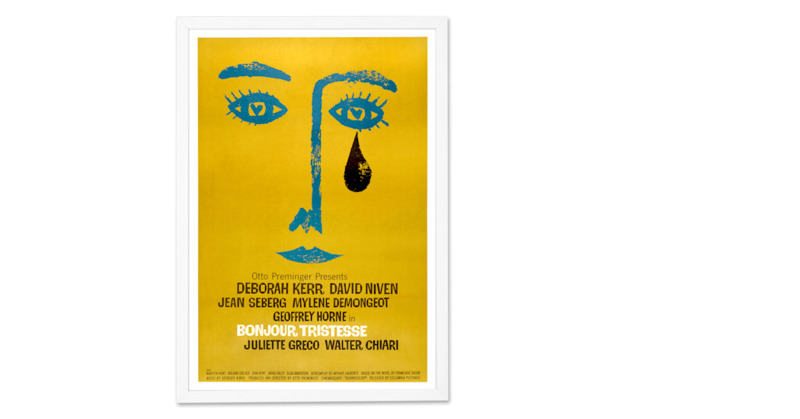 Adorn your wall with a print of the iconic artwork for the 1958 film, Bonjour Tristesse. If this movie is one of your favourites, then you need this print, now. Film buffs will love our collection of vintage movie posters. They celebrate the golden age of cinema and will give your home a retro touch.